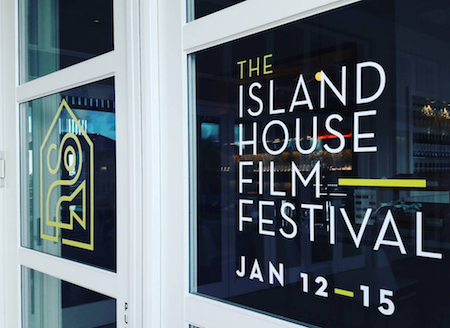 Nassau, Bahamas - In January, The Island House will be hosting two amazing parties celebrating two fascinating films that have strong connections to The Bahamas during The Island House Film Festival taking place in Nassau January 12–15, 2017. 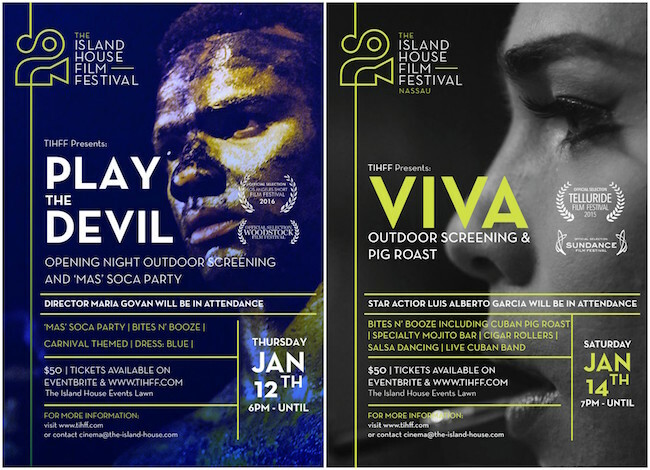 On Thursday, January 12th, the first party takes place in the form of a ‘Mas’ Soca fete celebrating the premiere of Bahamian director Maria Govan’s second feature film ‘Play the Devil’, which has already won several awards around the world. Director Govan will be joining Island House for the festival. On the night of Saturday, January 14th, Island House will celebrate the Irish/Cuban film ‘Viva’ with a Cuban Pig Roast including salsa dancing, Mojito bar and cigar rollers. Island House is happy to welcome the star of Viva, legendary Cuban actor Luis Alberto Garcia. Tickets for each screening and party are just $50. To purchase: visit the website or call 698.6300 or email cinema@the-island-house.com. Play The Devil is set in the rich landscape of Trinidad’s carnival season, Gregory, a young black, working-class, eighteen-year-old from Paramin, stars in a local play where he is noticed by James Young, an older affluent businessman. James applauds Gregory’s performance, inviting the cast to his home. He shares his art collection with Gregory who, though favored to win a medical scholarship, dreams of becoming a photographer. James uses Gregory’s interest in photography to entice a friendship. When Gregory’s estranged Father returns home, Gregory agrees to spend the weekend with James at his beach house. The men become intimate. Gregory, however, filled with angst, withdraws from James. His schoolwork, relationships with family and friends are all impacted. James cannot accept Gregory’s boundaries but rather entangles himself further in Gregory’s life. On Carnival Monday the band of young men cover their bodies in blue paint and dressed as devils, descend down into the valley, howling and drumming, lost in the carnal dance. Gregory approaches James in the crowd wanting to speak with him alone. That night a fateful confrontation erupts changing their lives forever. VIVA stars Héctor Medina as Jesus, a young hairdresser working at a Havana nightclub that showcases drag performers, who dreams of being a performer himself. Encouraged by his mentor, Mama (Luis Alberto García), Jesus finally gets his chance to take the stage. But when his estranged father Angel (Jorge Perugorría) abruptly reenters his life, his world is quickly turned upside down. As father and son clash over their opposing expectations of each other, VIVA becomes a familial love story as the men struggle to understand one another and reconcile as a family. VIVA was a hit at the 2015 Telluride Film Festival, and was Ireland’s entry for the Best Foreign Film Academy Award this year.